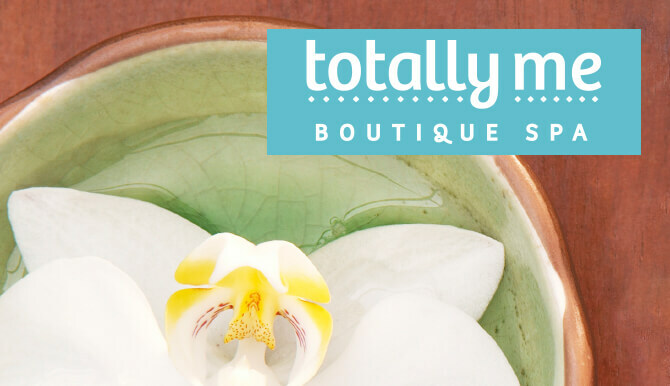 Totally Me Boutique Spa celebrates its Open House following an interior redesign. The spa is reintroducing itself and its new feel to the surrounding Windermere and Dr. Phillips area on Wednesday, December 3rd, 2014, just in time to help with your holiday stress. Voted second “Best Day Spa in Southwest Orlando” and as top 5 runner up for the Wesh.com A-List, Totally Me offers clients the ability to revitalize their mind and body. Totally Me is proud to offer affordable, clinically-proven alternatives to invasive medical procedures. It’s exclusive list of treatment options will make you look and feel your best, all while providing long-lasting results. At the open house, guests are treated to prizes and product giveaways, a tour of the upgraded facilities, free skin care analysis and meet & greet with expert practitioners. As an added bonus and continuation of the fun, all gift bags will include discounts on services and further promotional giveaways. Appleton Creative partnered with Totally Me to create welcoming collateral for the evening, including the landing page, e-blast and gift cards. The designs reflect the upcoming rebrand for the Spa, featuring calming colors and imagery. To make an appointment for yourself, visit totallymesalon.com or call 407-445-1199. Does your brand need a little TLC? Appleton Creative is an award-winning, full-service advertising agency located in Orlando, Florida. Appleton works with local, national and international clients to provide marketing strategies through print, web, social media and video production – all in-house. At Appleton, we want to learn about your business, empower your marketing team and be your creative resource. Your marketing goals are worth a conversation: contact us at 407-246-0092 or info@appletoncreative.com.